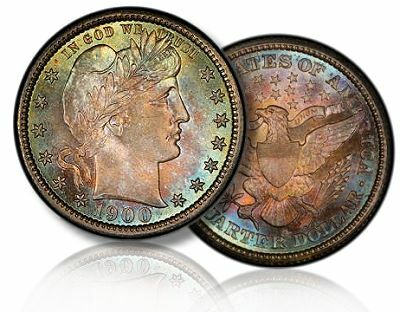 Coin Market Opinions - What Makes a Coin Valuable? Home Collecting Strategies Tips for Collectors Coin Market Opinions – What Makes a Coin Valuable? By Peter Mosiondz, Jr. ….. There are several factors contributing to the market value of a coin. The simple answer is that any coin is worth only what someone else is willing to pay for it. However, the complexities of the numismatic marketplace suggest other considerations. Rarity is one of the most important factors in establishing the value of a coin. 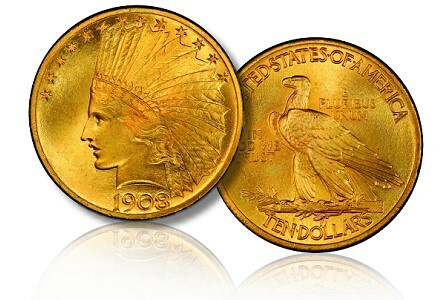 Generally speaking, a scarce or rare coin will sell for considerably more than a more common coin. Take for example the 1948 silver dollar of which just 18,780 pieces were struck at the mint. The coin easily sells well into four figures in MS-65 condition. The very next year saw the issuance of the very popular “Matthew” silver dollar. Thos coin is actively sought by collectors owing to the beauty of its design. However, the mintage figure amounted to 672,218 and therefore it is considered on the common side of the equation since ample supplies exist for those interested in obtaining a specimen. A price in the very low three figures is what one can expect to pay today for a MS-65 example. The 1048, on the other hand, is extremely difficult to find in a gem state of preservation. Interestingly enough, the age of a coin is one of the least important factors in gauging a coin’s value. In fact, certain bronze issues of ancient Rome are available for about $19 each in decent readable condition whereas a coin issued but a few years ago that much or more. Condition though is a very important factor in establishing value. The condition, or grade, of a coin indicates the amount of wear, if any, the coin has received since its striking. As one might suspect, the higher the grade, the higher the price. A Mint State (or uncirculated) coin will invariably sell for much more that a similar date in very good or fine condition. Components of the overall condition factor include, but are not limited to any physical damage the coin may have received, sharpness of strike, eye appeal, or aesthetic beauty and the coin’s net grade. Physical damage includes scratches, dents, gouges, corrosion, carbon spots and improper cleaning to name a few examples. Strike is an important consideration. A well struck coin that brings out all the design highlights is always in much greater demand than a weakly struck example. This is especially true of uncirculated coins. Such a coin with sharp, crisp design elements is always favoured over one that displays weak or “mushy” looking design elements. Eye appeal is basically “How does the coin look to you?” The rule of thumb here is that attractive coins are much more eagerly sought by experienced collectors than unattractive coins regardless of the coin’s grade. Don’t be misled into buying dog of a coin because of a bargain price. Remember that a bargain is always a bargain and always looks like a bargain. This is especially so when the time comes for you to sell that bargain. Expect a bargain basement price to be offered. As one might expect, grading knowledge is critical when considering the purchase of a coin. It is not only an important factor in the coin’s condition factor but its value factor as well. An overgraded coin is not to be considered. 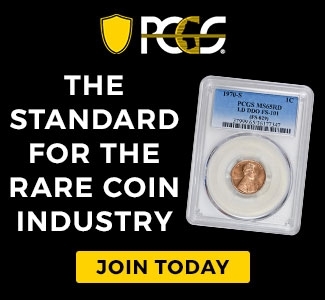 The grading of coins is the undeniable leader in disputes between buyer and seller. See my previously published articles on the grading of coins in Canadian Coin News (Vol. 43, Nos. 17 and 19). The metallic content, or intrinsic content, of a coin also plays a role in its value. 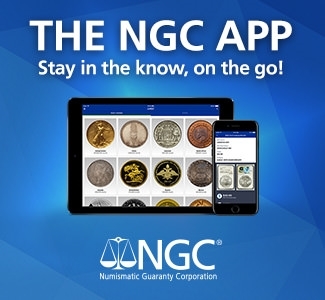 The current silver and gold values on the commodities market have escalated the price of common coins in those metals to high prices not in keeping with their true numismatic values. Caution is in order. The artistic design of a coin can also play a role in its value. I believe that it is safe to say that the Bluenose 10-cents coin is infinitely more desirable to a collector than a coin of that denomination bearing a wreath on its reverse. Collectors, for the most part, are attracted to certain issues because of their design elements. This brings us to the next consideration – demand. Demand, or the lack of it, explains why certain scarce early coins can be obtained for relatively nominal sums in relation to more current issues. An uncirculated 1`923 cent can cost much more than a much scarcer large cent in the same grade. The answer is that more collectors are assembling sets of small cents and have ignored the early large cents. Demand can and most probably will change over time. History tells us that it is inevitable. What was popular long ago is not so much in demand today. Collector fancies do change over time. Demand then is the ultimate factor in determining a coin’s value. A collector will not pursue a damaged or weakly struck coin. Neither will the individual want a coin with zero eye appeal. In summation, if 100 specimens exist and only 20 collectors seek it, there is minimal value attached to the coin. Who demands, or wants, coins? The collector does. He or she is the ultimate customer and it is from this demand base that values either increase or decrease. An investor will buy coins with the hope or assumption that somewhere a collector will pay a higher price thus resulting in a profit. The dealer must stock various coins in the hope of some future demand. But t is the collector who holds the purse strings. So demand is not only important, it is basic. Without collector demand there is no coin market. Until next time, stay well and enjoy your hobby. That’s right demand drives the value of a coin. While establishing a coin’s value, perhaps the most difficult is to put a justifiable price on the intrinsic content of the coin and that’s what allows greedy dealers to levy hefty markups.